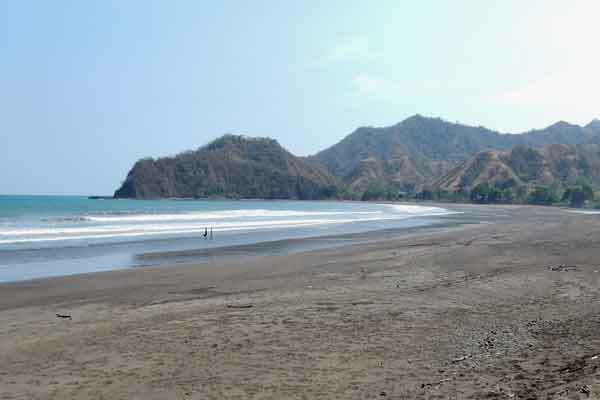 In the Los Santos province of Panama, on the Pacific coastline of the Azuero peninsula, is picturesque Playa Venao. About 225 miles, and a six-hour drive from Panama City, this scenic crescent shaped cove stretches for almost a mile, and is famous for having the best surfing in Panama. Due to a lack of major development this stunning cove still maintains its raw beauty and magic. The beach itself is seldom crowded, and visitors are well catered for with ample accommodation, restaurants, and bars. Due to its sandy bottom, and generally good wind conditions, Playa Venao offers consistent breaking waves for all skill levels, from beginner to professional. In 2011, it hosted the International Surfing Association Surfing Games, and the International Surfing Championship Playa Venao Golden Pro in 2017. 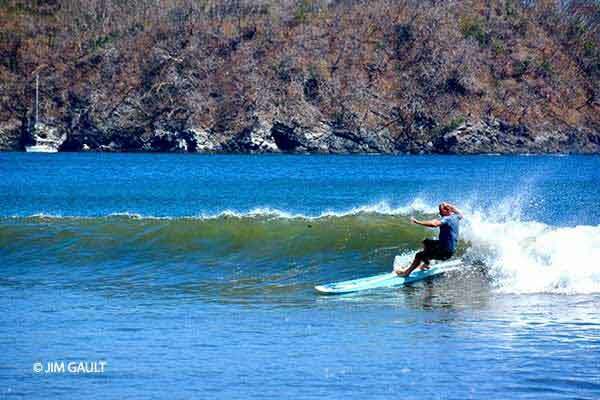 In addition to surfing, Playa Venao offers a variety of other recreational activities such as; kite surfing, kayaking, stand up paddle boarding, fishing, diving, snorkeling, hiking, and whale watching. Playa Venao businesses also give back to the local community. 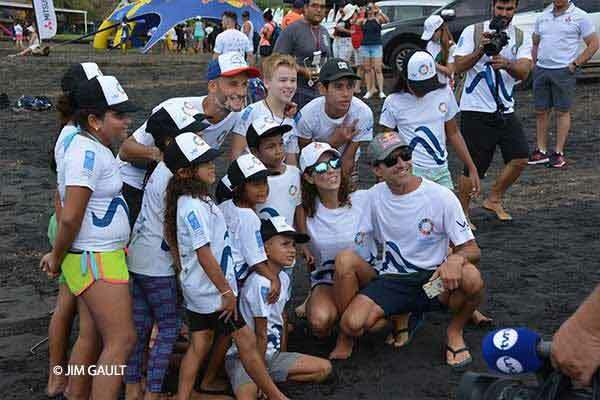 In July 2018, The Waved Foundation invited renowned Brazilian big wave surfer, Carlos Burle, to come to Playa Venao to raise awareness about the importance of supporting education through surfing. The foundation’s aim is to ensure that everyone contributes a little for the education of the country. Since its founding three years ago, it has supported six schools in the area and Panama City. Playa Venao offers great variety in terms of accommodation. 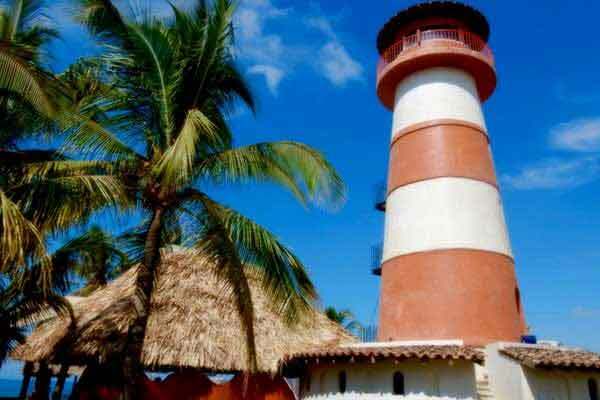 • Hotel El Sitio is easily recognizable by its tall brightly painted lighthouse, and offers 360-degree views. • Eco Venao Hotel is set on the rolling hills above Playa Venao, within a 346-acre reforestation project. Accommodation options, ranging from luxury guesthouses to cozy cabanas on the beach are also available. • Playa Venao Hotel Resort is on the Venao beach, and offers concierge services, and a restaurant. Playa Venao offers many options from fast food to excellent fine dining experiences. • El Sitio’s Sunset Lounge offers international and fusion cuisine, and uses fresh ingredients and locally caught fish. 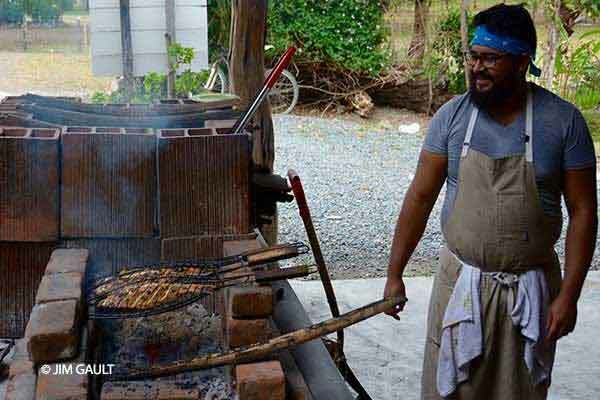 • Restaurante Los Sombreros, located within Eco Venao, has reasonable prices, and serves Panamanian and traditional foods from the PermaCulture farm. • Coleos Café is a moderately priced Mediterranean restaurant with an extensive vegetarian menu, located at BeachBreak Surf Camp. • And for food fit for a king, or at least a Prince, try Panga, ran by Andres and Tuira Morataya. Andres was once the personal chef to Prince Maximilian of Liechtenstein, but today he creates delicious meals, all from organic ingredients, and from scratch, including breads, ice-cream, and condiments. A popular day trip is to Isla Laguana island National Park, in Pedasi. To get there you will need to drive 22 miles to Pedasi, and take a short shuttle boat ride to the island. Magnificent Isla Laguana has sparkling azure green waters and white-sand beaches to hang out on, watch the dozens of brightly colored iguanas scurry around, snorkel, or scuba dive. Whale watching is popular between May and September. After returning to the mainland, almost everyone stops at the small beach cantina for a cold $1 cerveza, and to recount the day’s exploits before returning to Venao. Close to Playa Venao is the Isla Cañas community, with great fishing, and the Canus Jungle Adventure. Their Canopy tour starts with a guided hike up the mountains where you can take in the coast of Isla Cañas, and the mountains of Playa Venao. Here you can zipline for more than three kilometers above the beautiful scenery. Nearby Guanico and Cambutal, about an hour’s drive from Playa Venao, are also worth a visit, offering good surfing, miles of empty beaches, and delicious local Fonda food. Playa Venao is a stunningly picturesque area, and is rapidly gaining attention as a must visit Latin American destination for surfers and tourists alike.